I find it so comforting to know that no matter where the Military sends us, we are able to stay connected with friends and family around the world! 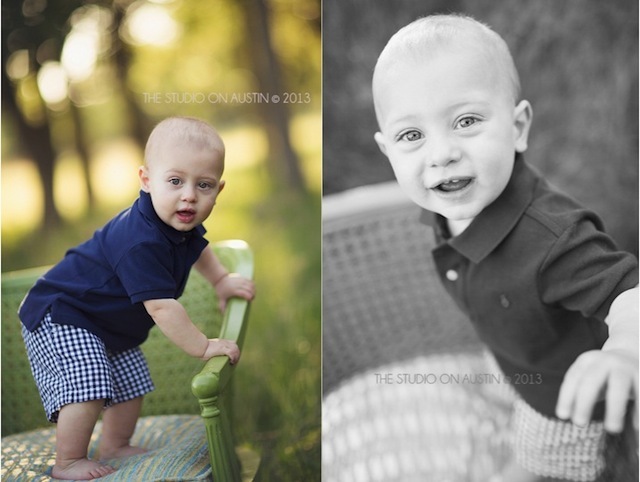 Facebook, Twitter and Instagram are my "go-to"s to get my hometown fix. It's a place where I can keep in touch with family, old elementary school friends, high school friends, collage friends and now new friends when our babies are keeping us from leaving the house. 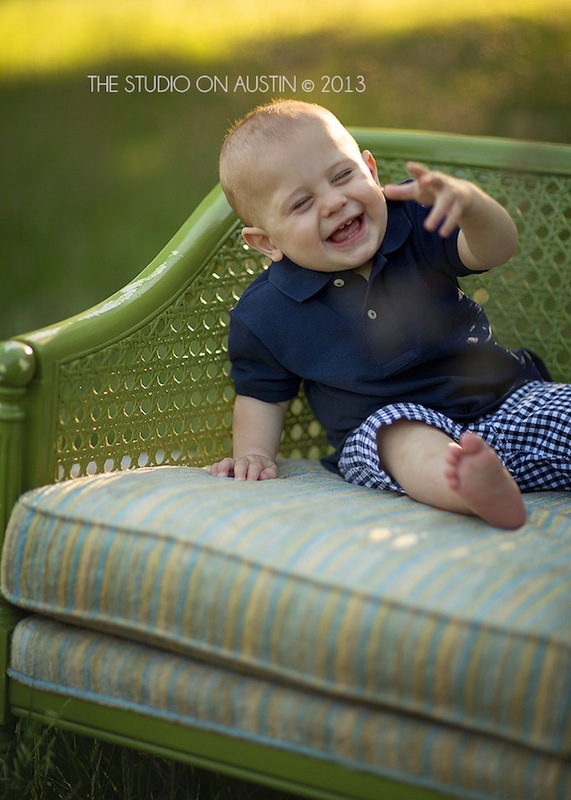 I love it when I log on and I get to see photos of all our little "mini-me"s filling up my newsfeed. 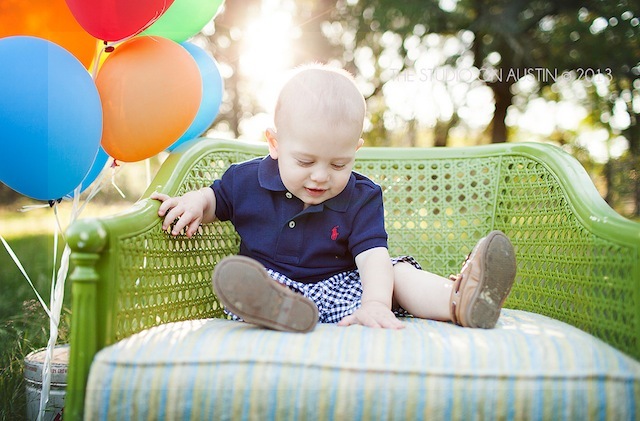 Today I get to share my sweet friend, Brooke's ADORABLE "mini-me" Briggs turning one! Brooke is my dear friend from collage (Sam Houston State! Go Kats!) 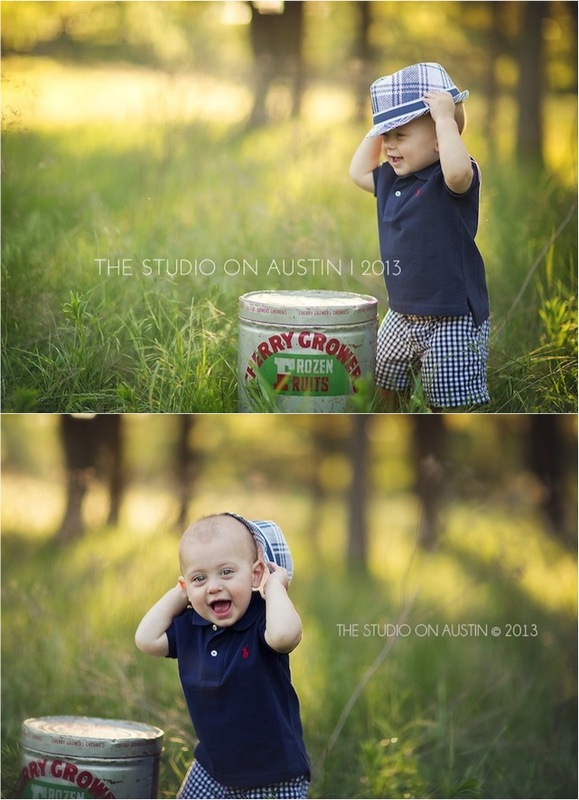 who I later partnered up with to brave the post-graduation life in Dallas, Texas. 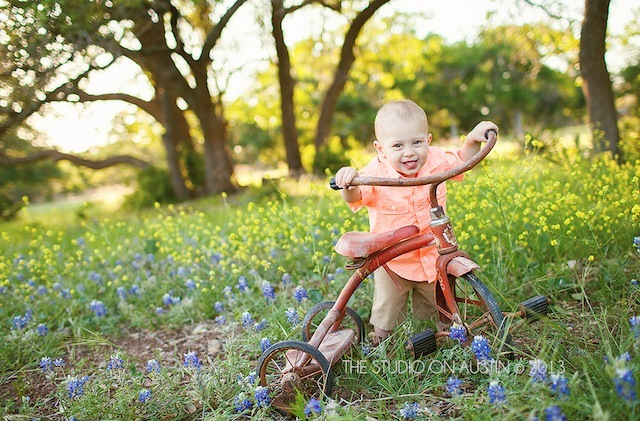 Now Brooke is living in Waco, Texas with her wonderful husband and Incredibly Adorable baby boy Briggs. 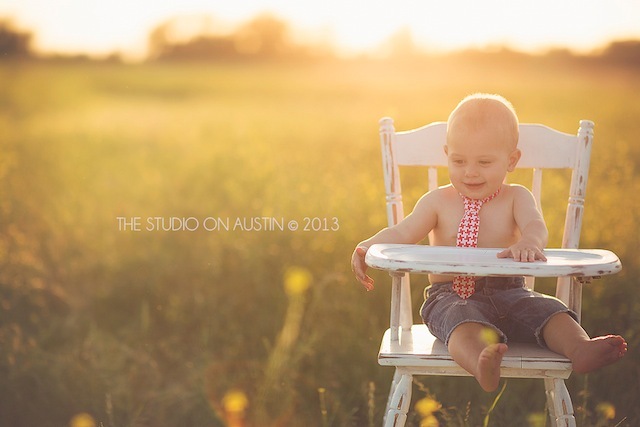 To document Briggs's One Year milestone, Brooke turned to The Studio Girls, Lindsey and Shelly from The Studio On Austin Photography in Waco. 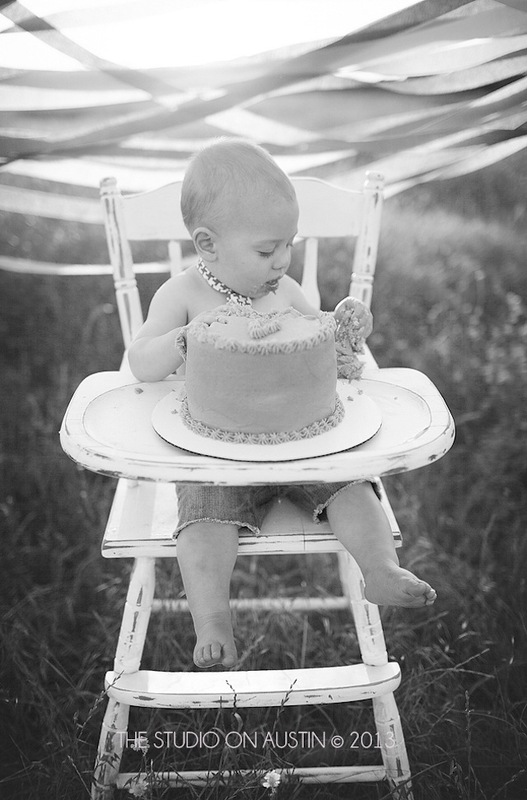 Talented photographers, Lindsey and Shelly used natural lighting, a beautiful outdoor space filled with tall trees, green grass and fun loving, full of personality baby Briggs to beautifully capture the most delightful cake smash! 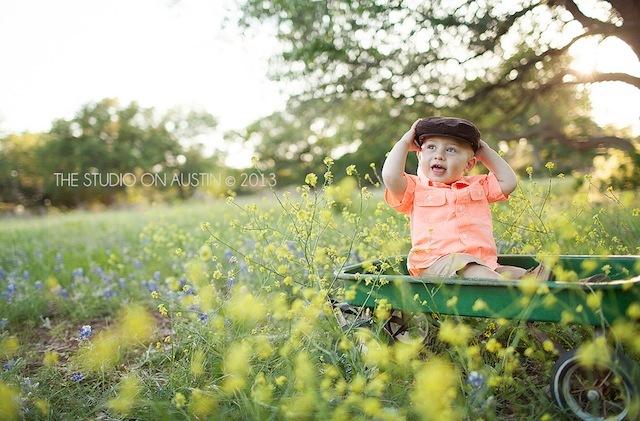 This Photo session has me smiling from ear to ear and I know it will brighten up your day as well! 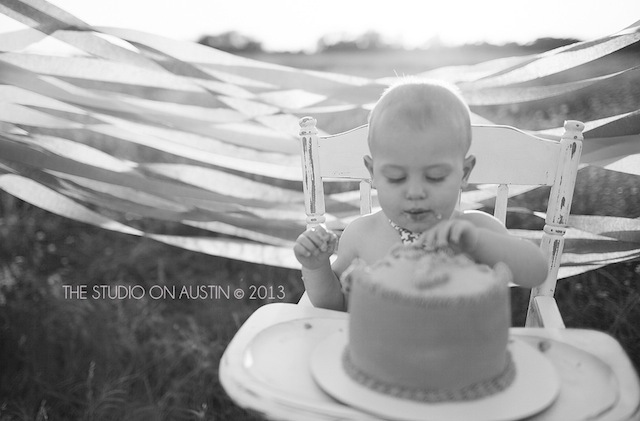 No need for a clean up crew as we celebrate Briggs turning One with an Outdoor Cake Smash Session from The Studio On Austin Photography! 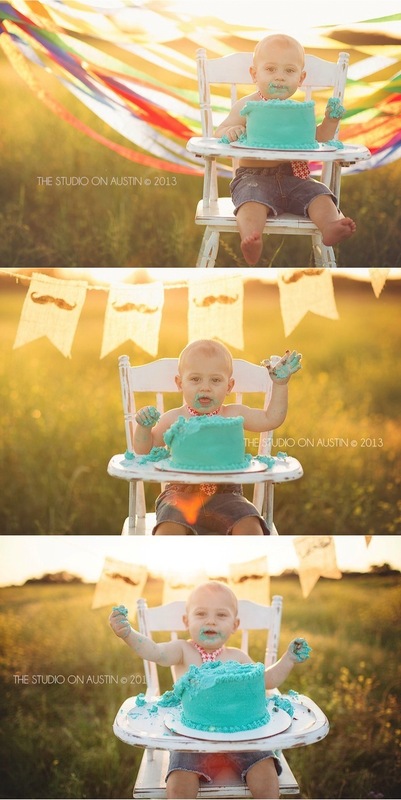 Let The Cake Smash Begin!! 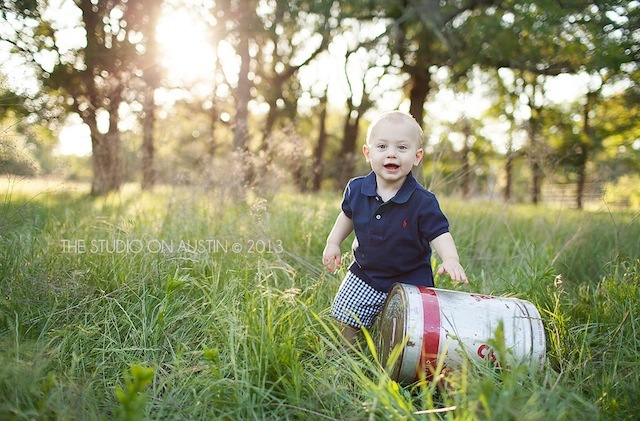 To see more incredible photos from Lindsey and Shelly, like them on Facebook or if you are in need of inspiration on what to wear for yourself, your baby and/or entire family's next photo session, follow Lindsey and Shelly's "What To Wear" board on Pinterest! love all the props!! and that tie. I'M DYING! 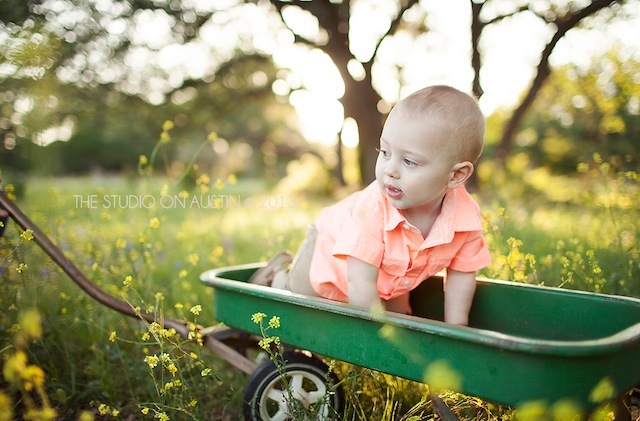 <3 ooooh, I hope I have a boy one day.